Without further ado, I finally bring you my story about racing in Leadville, Colorado at the Leadville 100 mountain bike race. This is a [now] storied event that has seen the likes of Lance Armstrong, Levi Leipheimer, and Floyd Landis try their luck in the high altitude around Leadville on mountain bikes. As it turns out, it was also a race that was on my bucket list that I wasn’t even aware should be on it! It seems the more I get involved in the racing community and travel to different events, the more I learn about amazing races in far-flung places that I wish I could do. I’ll have to settle with a handful of them, and this race now gets added to my memory banks as one of the biggies! There is of course a video review, and also lots of pictures, thanks to Deanna being there (this doubled as our vacation!). Now read on for the whole story. 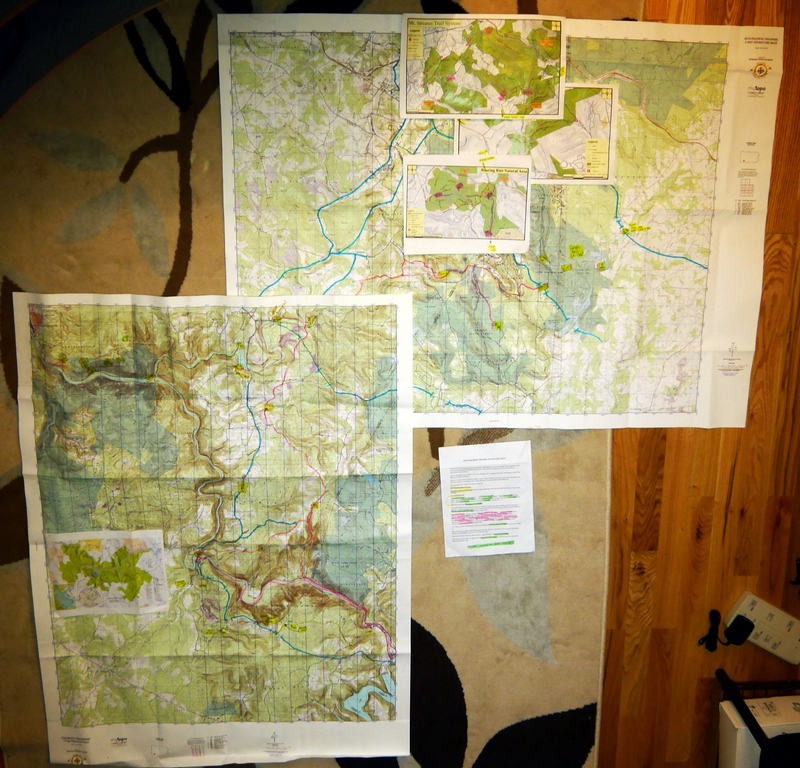 The official story starts over a year ago in the Adirondacks in NY State. 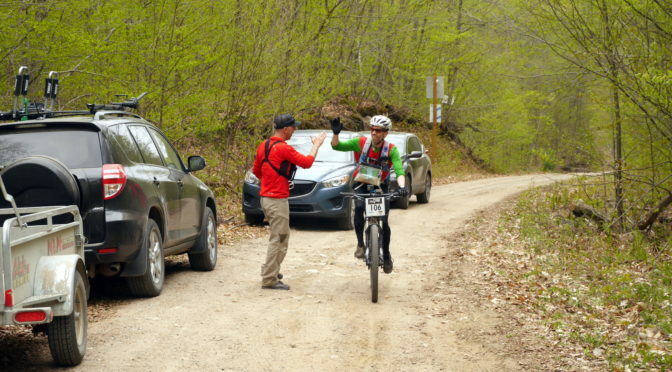 Specifically, the Whiteface Wilmington 100 bike race, which was a qualifier for Leadville. I knew about Leadville, and love riding my mountain bike, so when I heard about the qualifier less than 4 hours from home, I figured I’d give it a go and see what happens. Although I hadn’t raced quite fast enough to be in the top slots for qualifying, I stuck around after the race and during awards just in case. They were drawing for extra spots at the end, and my name came up. After meeting the founder, Ken Chlouber and seeing his infectious enthusiasm, it was clear I had no choice but to say yes. My 2012 calendar was already full, so I ‘deferred’ for a year. The only downside to deferring is that my starting place was somewhat compromised. Instead of being put in a corral related to my Whiteface finish time, I would be put in the very back corral. I didn’t think it would matter much, as I really just wanted to experience the event, not go for the win . I know what you’re thinking: “Don’t you always go for the win?”. Well, yes, I always give 100%, but I’m also realistic. Being one of over 1500 racers fighting out in an internationally-renowned race with elite racers meant I had zero chance of getting on ANY podium! 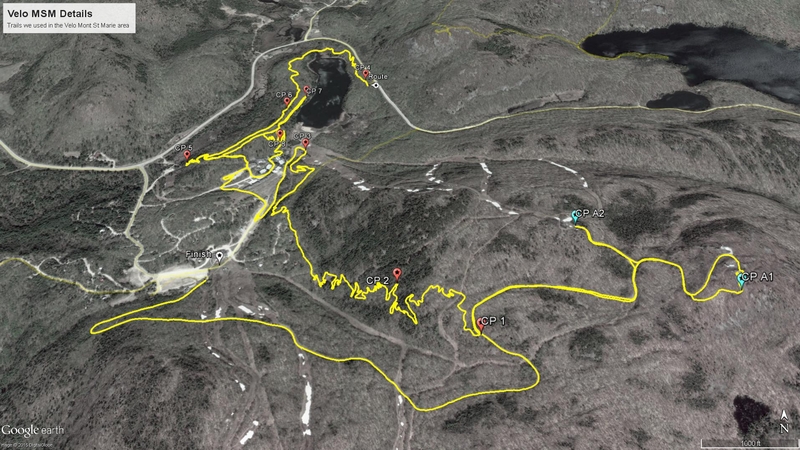 Over the course of the next little while from Whiteface, I managed to parlay my way into doing some media coverage for the Leadville race, which meant at least my entry fees were covered. I then booked flights using reward points for both Deanna and I, and also tried to scare up some old contacts for places to stay. The whole goal was to try and not spend too much on this far away race, as we are counting our pennies while we save up for our wedding and honeymoon. In addition to 3 nights with friends, we booked 2 AirBnBs (if you haven’t used this service before, I can highly recommend it), and a couple nights in a motel (the night prior to and after the race). We rented a nice car, and were all set (even got an upgrade to a fully loaded Subaru Legacy for a good rate). Deanna was also excited as she had some distant relatives in Denver, and we managed to attend a family reunion of sorts where she could talk all about family history stuff with new-found family connections. This was also her first time in Colorado. As such, we had a brilliant week playing tourist, trying out lots of local beers (and mead), and getting up into the mountains (like Pike’s Peak, Mount Evans, hiking, Red Rocks, etc.). There are, of course, lots of pictures from our touristy stuff as well. Check ‘em out! But of course, this post is meant to be all about the race, so with that little digression out of the way, let’s get back to the action! Leadville itself is located at over 10,000’ above sea level, so going into this thing, I knew that my biggest challenge may very well be the altitude which I’d be pushing my body at. I have been fairly diligent about training and putting mileage under my belt, but there is no easy way to prepare for the altitude. 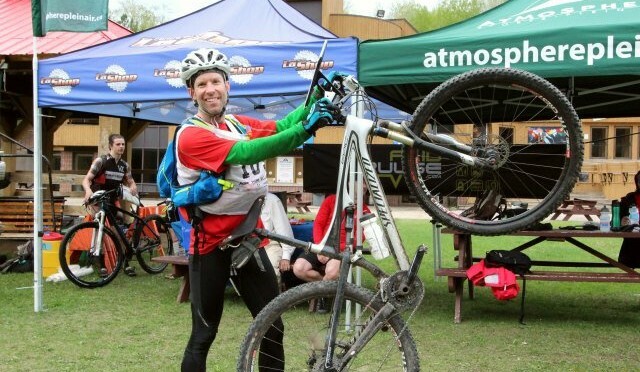 I knew that I had the legs and physical ability to bike over 100 miles, but the challenge would be in doing so in the time allotted (plenty of people don’t finish every year). My race plan was simple: don’t blow up early. I would race mainly by feel, using my heart rate monitor as a back-up to make sure I wasn’t creeping up my heart rate trying to keep up with people going too fast. In the end, I also relied on the theory of numbers. I felt that if I stayed in the midst of the crowds in the back 1/3rd of the pack, I should finish right on time. Our hotel was about 40 minutes from the race start/finish, so we had to get up bright and early on race day. The day before we’d gone through registration and race briefings. Once again, Ken was an inspirational force with his words of encouragement, making us all anxious to get going the next day. The medical director was also a hilarious fellow, but he was of course delivering serious messages about the risks. The final thing sorted out the day before for me was a bike. I had rented a bike for the race from Cycles of Life, a great local bike shop in Leadville. They hooked me up with a sweet 29er that I put my own seat and pedals on for the race. After a test ride, things seemed dialed in, and the fact that it was a hardtail should make it the perfect bike for a ‘road race on mountain bikes’, as this race had been referred to as. Race morning was FREEZING! There was frost on the ground, and being ‘bundled up’ in spandex wasn’t all that toasty. I had on my wind jacket and even borrowed Deanna’s jacket at the start line, where I had to wait for 45 minutes or so before the start. The sun had not poked up over the mountains yet. However, soon enough, we were under way. The start was downhill, making things even colder for the first while. As a result, I had some early camera issues. I had 2 GoPros with me, and neither seemed to want to stay on. I had to stop a couple times to remove batteries, re-set, etc. Not a groovy start. I found myself in pretty much the very back of the entire race at this point! Luckily, there was nowhere to go but up. Both literally and figuratively. Literally because we started climbing our first big hill, and figuratively because I’d spend the rest of my day slowly making up ground and passing people. 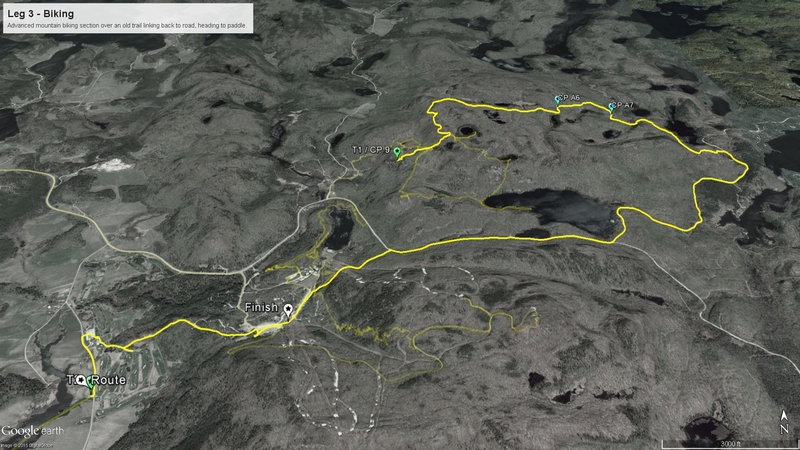 Much of this race made its way along gravel roads, and mountain access roads, with only a few little sections of true singletrack. 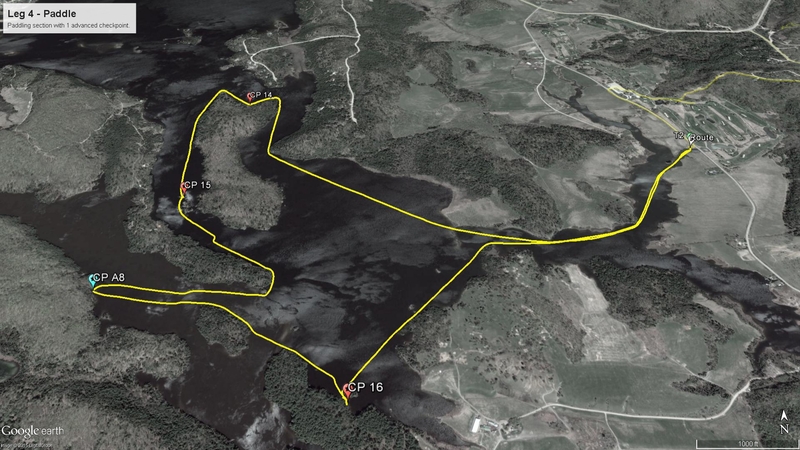 In that regard, it really isn’t a very technical race, just long and challenging from an endurance perspective. Climbing out of that first valley was an amazing precursor to the rest of the day. As we climbed, we eventually popped out on a dirt road high above the valley, where the sun had not quite penetrated. So while we were now bathed in warm light the valley far below was still very misty, still and cold. My racing companions also agreed with my assessment that THIS was what the race was all about. Of course, I’m sure things were a lot different far ahead of us, where new records were being pursued by the leaders. We were having amazing weather conditions for the day, and the course was in good condition, meaning that new records may be possible. 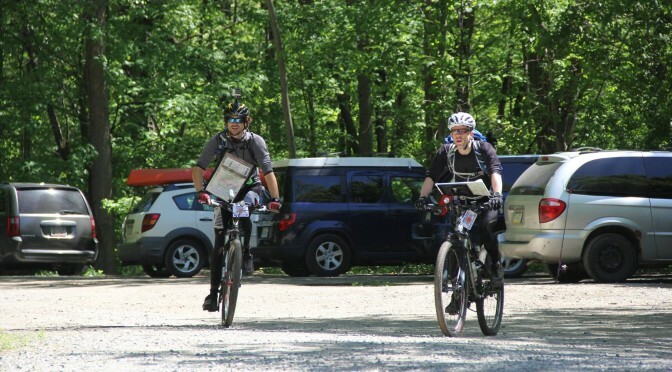 While I had no official race plan or schedule, deep in my heart, I had been hoping for a finish around 10.5 hours, with a realistic goal of 11 hours, but a stated goal of ‘just finishing’. As it turned out, I would be somewhere between stated and realistic. In all honesty, I think I could have made my secret goal, but with caveats. Firstly, I was stuck in the back of the race, meaning thick crowds, lots of bottlenecks, and difficulty making passes on tricky sections. This obviously cost me time. Also, I did stop on numerous occasions for filming duties, which also costs time. I don’t regret it at all though, as it was really nice to actually soak up the atmosphere and let the scenery overwhelm me a few times. In order to stay on some sort of schedule, I had a little timesheet that told me time checks for reaching certain checkpoints in order to finish in a given time. I didn’t get the chance to check that out until about 60k into the race, and when I did so, I learned I was about 30 minutes behind my target time! Yikes! As a result, I had to turn up my own internal pressure to the next CP. The next section included some pretty neat bits of singletrack trail, as well as the most fearsome descent in the race, Pipeline. This is a long technical descent, very rutted out in places, and making it very difficult to pass people. I held my own while barrelling down, but one of my cameras didn’t fare as well. My GoPro snapped right off the mount and went flying off. I had to stop to recuperate it from the trail and tuck it back into my pack before heading back down the trail. 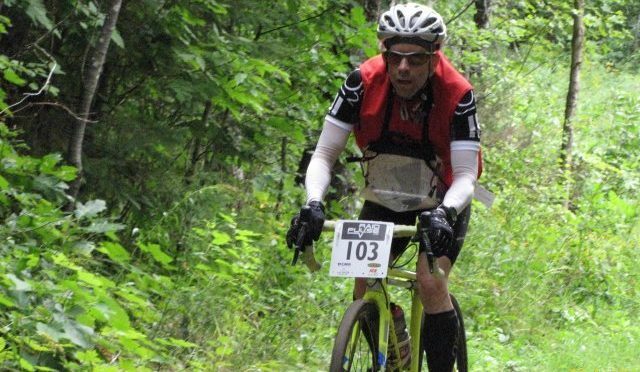 I was also distinctly aware that my brakes seemed to be wearing down rapidly, and I still had another VERY long descent to make after the high point of the race. With respect to the next checkpoint and time check, that was where my sweet Deanna was awaiting me. When I arrived, I was a bit of a whirlwind of energy. I dumped my gear, grabbed what I needed to and basically headed back out, in order to make up some time. I was legitimately worried about cut-offs already! Luckily, I had made my time back up, but was now about to embark on the long climb up Columbine Mine. This is a climb from around 10,000’ all the way up to 12,500’ with some pretty steep grades. The good news is that I felt good, and was able to dig in and push hard uphill. I actually passed a pretty large number of other racers. At one point while I was filming and providing commentary, I was accused of having ‘too much energy’. Not like I haven’t heard that before! Of course, I have to say that the climb to the top was well worth the suffering. From the high point of Columbine, you have a commanding view of the entire area and surrounding peaks. It was absolutely breathtaking. And yes, once again, we’re talking literally AND figuratively  I took a good long pause while up there to take it all in, shoot some video, re-fuel on food and drink, and chat with racers and volunteers. I was feeling a little more confident about my time now, and even though I knew I wasn’t racing fast, in my mind this was the halfway point, and I had less climbing on the second half of the race. The climb up had taken over 1.5 hours, but to get back down? About 30 minutes. It was great. And not too tiring. The most tiring thing was squeezing the brakes and keeping the bike under control. Arriving back at the bottom of the climb gave me a second chance to see Deanna. Determined to be a little more social, I stopped fully and chatted for a few moments with her. Gave her a kiss and thanked her for all her help and patience hanging out during the day while I raced. It really was great to see her again, and agave me a little pick-me-up before I pedaled off again. Sadly, as is usually the case with a race of this distance / duration, I did eventually hit a low point, and it was between this CP and the next one. The terrain wasn’t all that bad, just a lot of rolling trails and roads to follow. Sort of a hum-drum section. The views around us were great, but there were some wicked cross-winds that you really couldn’t avoid, due to constant curves. It sapped a lot of energy out of me. I could feel my pace slowing down and energy waning. I didn’t like it one bit! But I recognized it for what it was, and kept pressing on. I knew there would be fresh food at the next aid station, and just had to get there. Speaking of aid stations, I should mention that these were well-stocked, and very well run by an army of volunteers. They would offer to help in any way they could and even anticipate your needs by looking at your bottles, etc. There were a good range of food options for racers. I guess after 20 years of putting a race on, you pretty much know what the crowd wants. For my part, I actually raced on ‘real foods’ for most of the race. At aid stations, I’d eat bananas, peanut butter sandwiches, watermelon, etc. It seemed to be doing the trick, so who was I to argue? This formula is exactly how I got over my low point. 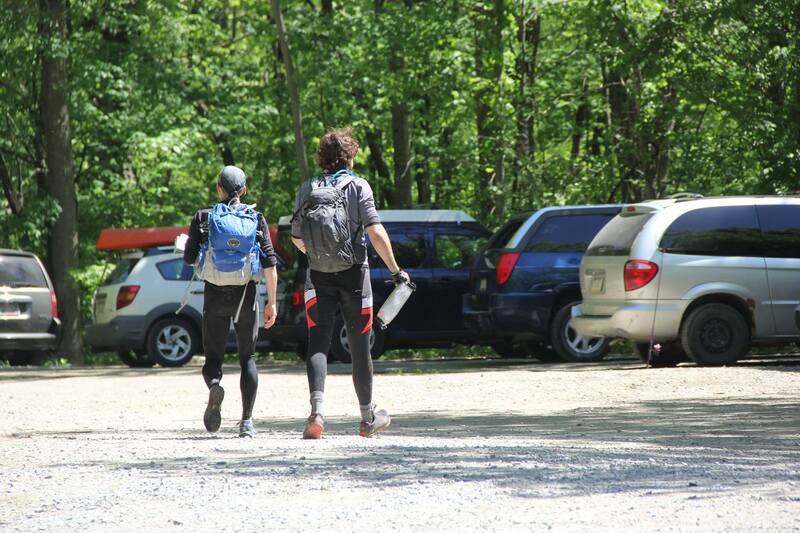 When I finally cruised into the aid station, I ate a pile of watermelon and bananas. I got back out on the bike, and within 10-15 minutes, I was feeling refreshed and much better. Which is a good thing, because up next was Pipeline again. And this time, going UP the climb. Another long drawn out affair. My new-found energy came in very handy, as did the small can of Coke I got from the fine folks of Strava along the road before Pipeline. Although the sun was absolutely blazing on us, I tackled the climb with the fresh energy of earlier in the day, and beyond all expectations, I managed to bike the entire think (save for the very first, super crazy exposed section at the bottom. I got a lot of encouragement from other riders, most of whom were walking around me. They were polite and gave me right of way as a ‘rider up’. It felt amazingly good to pedal up while others were walking. Just what my spirit needed. When I finally reached the top and started making my way back down, I felt a great weight lift. I had done some calculations, and was pretty sure I’d make it to the finish well before the 12 hour ‘official’ time cut-off. But only if I kept pedaling! The last couple hours of the race seemed to go on forever, with a never=ending slog of pedaling up and down climbs. My fellow racers were equally feeling the day wear on them now, as we’d been out for over 9 hours already and had struggled mightily through all the challenges to date. There was one FINAL long paved climb to tackle and energy was fading again. Enter the cycling Gods to my rescue. As I was pedaling, a shiny can on the side of the road caught my eye. An unopened Coke…. Hmmm…. Should I? I circled back and picked it up, intent on getting a shot of sugar and caffeine into my system. I carefully pried the top up as I kept making my way uphill. It was well shaken up, but I was careful to not open it too fast in anticipation of that. It was also swelteringly warm, having obviously been in someone’s jersey pocket a long way. HOWEVER, the sweet nectar was like medicine for my tired legs, and helped me turn the cranks over with a little less effort again. As someone eyed my comical act from behind the whole way, I finally ventured “Well, that just shows you, one man’s trash is another man’s treasure!”. Not only did I get a boost, but I was also picking up road litter. Karma points and energy points. Nice! Now how can I describe the final ride to the finish? Well, for starters, the inbound route is slightly different from the outbound route. In fact, it adds 3 extra miles onto the race. 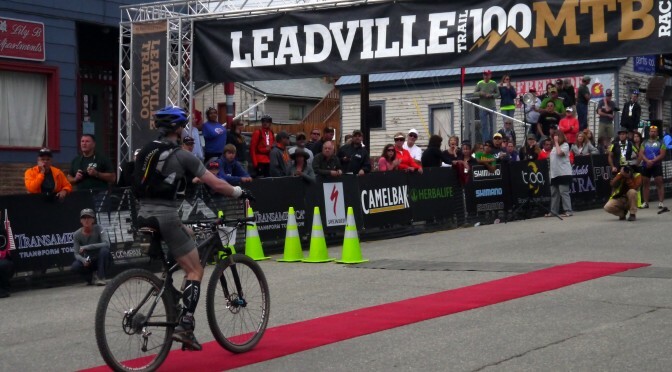 So in fact the Leadville 100 is more like the Leadville 103! I had been warned about that in advance, but it made me no less comfortable as I passed the last few signs announcing distance to finish. I am almost positive they were fibbing with the signs, as it dragged on and on in the gravel. However, almost without warning, we popped back out onto pavement, and I realized it was about 800m to the finish! Another right hand turn and there it was, looming in the distance. The finish line crowds and yes, a red carpet! We actually get to roll up on a red carpet to cross the line. I filmed the moment, and scanned the crowd for Deanna. I also gave a big sweaty hug to Merilee (Ken Chlouber’s wife), who was putting my finisher’s medal around my neck. She has been doing that every year at the finish line for 20 years, regardless of the weather. I truly felt like I had arrived home to my family. It was an intoxicating feeling, and very emotional. I finally found Deanna, yelling for me from the sidelines. I ran over and squeezed her hard over the barricades, letting the emotion and enormity of the day finally crash down on me. 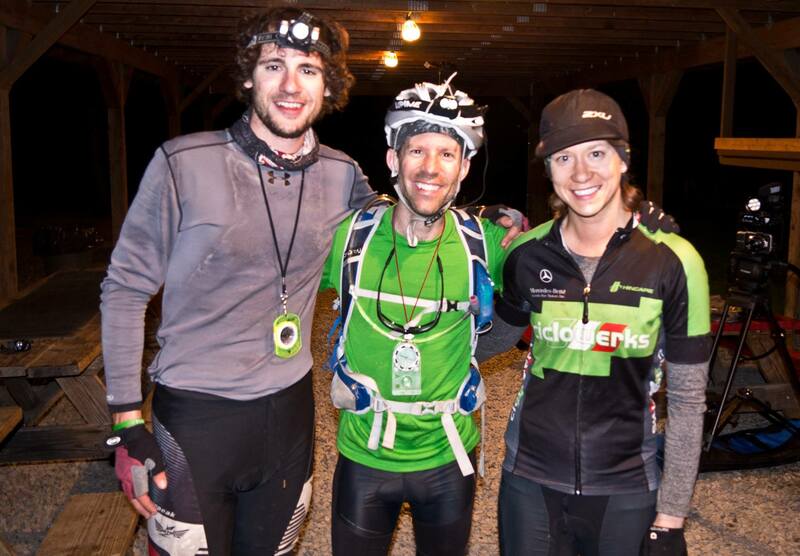 I had just biked over 100 miles in the high Rocky Mountains and finished the Leadville 100 in 11.5 hours. And it was good! Of course, the good feeling was soon replaced with the exhaustion, but not before doing a little touring around the finish area, having a celebratory beer, and eating some tasty kettle corn that Deanna had picked up for me. When we finally got back to the hotel, I was completely beat! Deanna poked fun at me as I lay in the bed nearly motionless. I knew I needed to eat something, but was having a heck of a time getting motivated. Our final meal choice? A horrible one I’m afraid: Taco Bell. I had 4 tacos and nachos supreme. But at least it was better than nothing. The adventure wasn’t completely over however. The next morning we had to get up early once again in order to head to the awards ceremony. After all, it was the only way I’d be getting my belt buckle, the one and only reason to actually do this race . In addition, there were the presentations to the top racers, and we were also going to each get a finisher’s sweatshirt. Not until that very moment did I learn that the actual sweatshirts were completely custom, screened with both our names and exact finishing times! They had been made up overnight! Sadly, this customization is what also lead to us having to wait hours while they sorted them all out. However, in the long run, I’m okay with the wait, as I have one heck of a race memento now . So ends my tale from Leadville. I’m sad to say that there are so many sub-plots that I didn’t get to share with you all. The stories I traded with riders, the pleasure and the pain I saw on faces, the absolute crushing sight of seeing people cross the finish line knowing they were not ‘official finishers’ due to being cut off. The near accidents, the mechanical issues. Yes, there is a LOT more that could be written, but it would simply be too long. 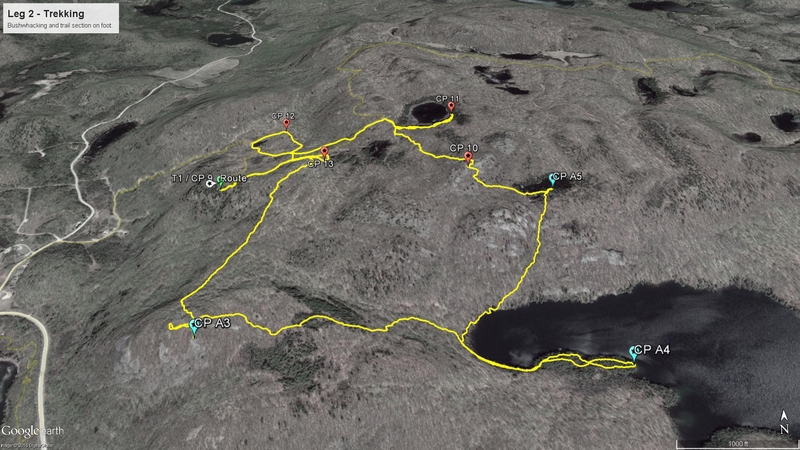 Suffice to say, this sort of race needs to really be experienced to be fully appreciated, and if any of you are into mountain biking, I would absolutely suggest putting this one on your to-do list. Although I’d love to go back and challenge it again, I’m afraid the cost, and fact that there are so many other interesting races to try, probably means that I won’t. But that doesn’t mean that I won’t return to Leadville. After all, I’m now part of the family there, and it would be a homecoming of sorts! Next up in the race roster? 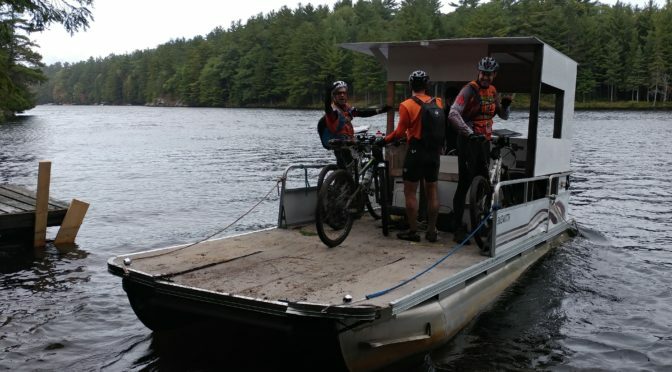 Timmins for the Great Canadian Kayak Challenge! Stay tuned for that one!